Getting senior care at home is a great option for those who need assistance with any or all of the various activities of daily living. With our full staff of Certified Caregivers and Nursing Assistants, we will partner with you to customize a schedule and care plan that meets your needs. The different type of senior care that we provide are Alzheimer’s Care, Dementia Care, Hospice Care, Joint Replacement Care, and more. Each distinct type of care that we provide is designed to provide specialized care that will cater to your loved ones needs. These different senior care services are provided by our professional caregivers. 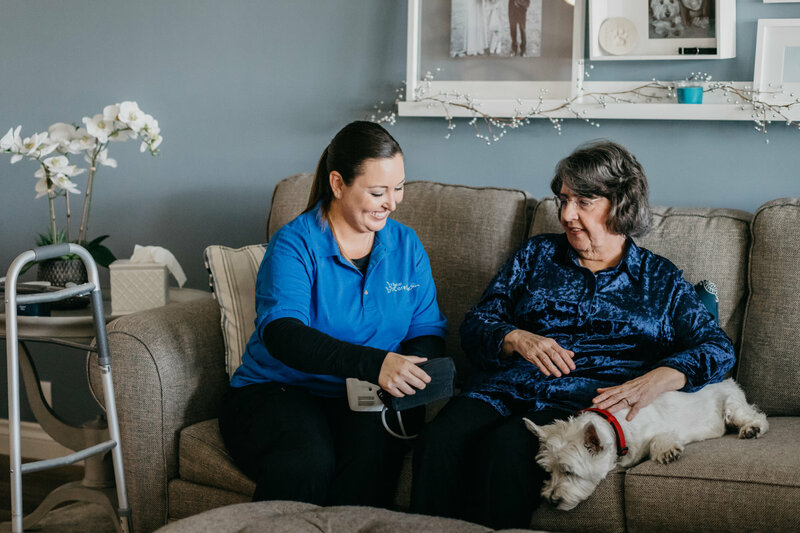 Our staff can help create a better quality of life for your loved one as we not only provide assistance for the practical areas of life, but we are also here to provide companionship and emotional care. Our mission is to lift your spirits, brighten your day, and make a positive impact during the time we spend with you providing senior care.